These are the times we are facing now, with recent political events looming large and ominous in the United States and global affairs precarious in their awaiting the outcome of the collective mind of the USA and alliances that had been made. So, how do we make use of this New Moon in collectively minded Sagittarius and a Solar boost to this astrological Fire that is Mutable; which means flexibility and adaptability. This is also a Fire of will to action that expands and contracts as thresholds of endings and beginnings test the boundaries of where that action is directed and how willful we are in burning through it. These are also the fires of newly ignited flames; in other words there is the potential for the fire to completely go out if it is not fed carefully and appropriately with skillful attention to placement of breath/air and intention. We are nearing the end of November and with the advent and waxing of Mother Moon into December, how we feed and tend those Fires now will go a long way in support of December’s Solar transition into foundational Capricorn and the Winter Solstice. We will have passed the full moon by the time the solstice occurs but those last and most mature energies of Solar Sagittarius hold the spark that will ignite as those fiery arrows that were launched in the light of Solar Sagittarius gain ground in earthy Capricorn. My proposal to you is one of cultivating patience and discernment and shoring up your arrows of connectivity; trusting that intention will guide the way. This means spending some time reflecting and truly thinking through where you wish to send out your fires of action. Where will they take root and what will become wasted energy and effort at a time when clarity and precision in picking the right battles to burn through is at an all time high. Just as the archer of the Sagittarian symbology requires skill and practice to insure that each arrow hits the intended mark, this is a proposal that has no expiration date on honing and refining its many moving parts. What we need is a plan and plans take time and more importantly those who are knowledgeable in their skill set to make lasting change. One arrow of hope -aka.one intention released of action that has been fueled by a will that has scanned the best and most direct route for impact- can become the one that ignites a larger path to action that is palpable in its effect and brings about growth that rises from the ashes stronger and more dynamic than what had been planned. I encourage you to use the energy of this New Moon productively letting the light of your intentions to begin the process of connecting with others of similar philosophy and belief. Release an arrow of understanding that you may gain deeper awareness of who and what the issues are, seeing them from both perspectives. You know there is the saying that one keeps their friends close and their enemies closer. Send out an arrow of clarity so that your actions will carry the most weight in leaving footprints that are easy for others to follow on the path towards right action. 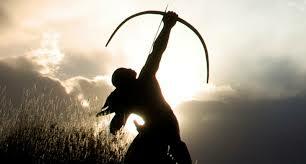 Release an arrow of love and respect, that remains tethered to you as it seeks its mark. This is the arrow of reciprocity. One that requires you respect yourself enough that you will not allow the same type of narrow mindedness to rule your actions as that which you are condemning. Love is a powerful ally and although all cannot be easily diffused or transformed by love, the action, intention and efforts towards remaining this space, especially when challenges are at peak, strengthens your own convictions and place of right action. 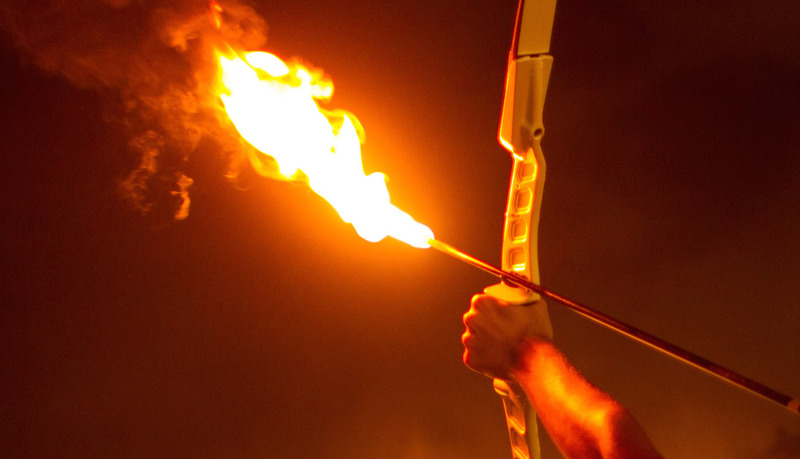 Think of these arrows that you send forth his New Moon as the first strikes of the match that craft the fires of Illumination, Healing and Cleansing. And, once this Fire is collectively lit, nothing can extinguish what arises from its flames. 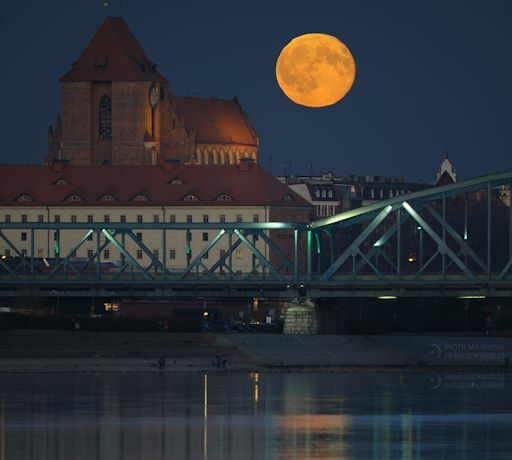 “THE BIGGEST FULL MOON IN ALMOST 70 YEARS: On Monday, Nov. 14th, there’s going to be a full Moon–the biggest and brightest in almost 70 years. The best time to look in North America is before sunrise on Monday morning, while in Europe the best time is after sunset on the same day. The moon waxes full in the astrological sign of Taurus this morning. Taurus is a Fixed (stability and synthesis) sign and is of the element of Earth; and much like its symbol, the Bull, Taurus holds strong and steady in its presence. It is fitting that this moon occurs after one of the most divisive and contentious elections the USA has experienced and that strong, stalwart and stubborn anchoring in what each believes to be the right way reached its peak, with surprising results at all levels. Now, the question is whether the Bull in the proverbial china shop will destroy all the refinements and baeuty that has been carefully created from years of struggle and adversity or whether the anchoring will take the form of all participants rooting into what their personal core values truly are, stripped of peer pressure and old beliefs that no longer serve. This is a fullness that tests just how willing each will be to stand in the strength of what protects and safe guards for the highest good of all members of the herd. Additionally, this anchoring is focused within the emotional and intuitive landscape that Mother Moon guides. Our emotions are being brought to full light and how we feel about our place in the manifest world. The ideals, philosophies and beliefs we have manifested as our own truth will either become a place of inert stubborness or move with a weighty presence that is a force not to be reckoned with. The caution is one of rigidity that becomes a barrier of aggression, rage and hate that fuels the exact negativity that is being fought against. Moving with purpose and deliberation keeps the emotions open and flexible enough that the creation of new expressions of right action and just cause can evolve from a space of wisdom and intelligence of a heart that is aligned with higher purpose. Additionally, we are nearing the end of the solar month of Scorpio and its energy of hidden reserves of insight and depths of knowing supports the manifestation of a new way of allowing your passions and desires to arise from the depths of who you know yourself to be and join with the earthiness and fecundity of Taurean energy to produce action that has both substance and intuitive strength. This is the Bull(Taurus) that stands its ground as the Eagle (Scorpio) flies high above, liberated from the Scorpion’s (also Scorpio) dark abode of random retaliation and is now able to see with clarity and accuracy which injustice will become its prey. I have chosen this date and energy to provide the solid ground to launch a FB community page entitled Action in the Aftermath . The intention is one of offering the space of hope and productive action that is both informed and selective in where it stands its ground and engaging those emotions (which fuel the desire to manuifest) can be justly called upon for the highest good of all. And, so I call to the strength and awareness of manifest and physical form. The Bull, that guards and protects and holds strongly anchored in who and what it is. Taurus is also the sign of one of the Four Holy Creatures, the Winged Bull and the energy of allowing what is steeped in instinctual and physical response to become a creature of elevated form and nature. This is the aspiration of what is driven by the desire to survive that lifts that desire to the space of manifesting and individual who is instinctually attuned to the Divine and moves in accord with a higher purpose. I call to the three levels of Scorpio’s wisdom. I call to the Scorpion; no longer content to remain hidden in the dark and great below, whose only recourse is retaliatory and random strikes of pain and suffering. I will rise high above, soaring on the wings of the Eagle; able to see all that lays below as the potential to sustain and nourish knowing that I have come to this place of great in-sight because of the lessons learned in hiding below. And, in this trinity and with the support of the Bull’s anchored presence, I call to the Phoenix and its gift of rendering to ash what does not survive a greater whole and arise transformed. Blessings of this Full Moon and stand strong and united in purpose for the highest good for all. 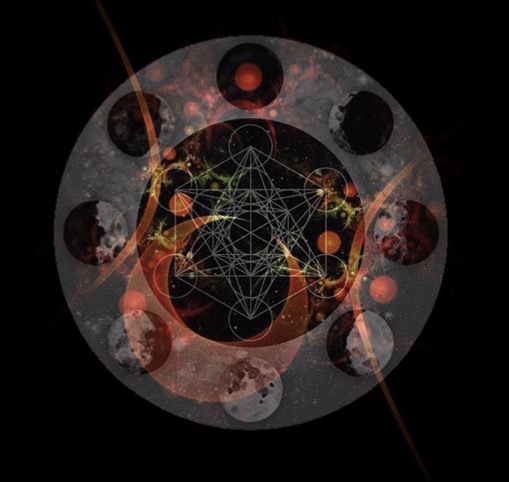 Take a look and consider becoming part of the Action community..
Today marks the date of astrological Samhain; the mid-point between the Autumnal Equinox and the Winter Solstice, soon to be. This is the final post of the series of focus on ancestral connection and embracing the energies of worlds interwoven as the veils between soften and open. At the New Moon of Scorpio on October 30th we entered the sacred grove of the Ancestors with open hearts and ready to receive. Now, on the date of satrological Samhain, the veils are thinnest and the potency of energy that flows btween those gates is primed and ready for interaction. Today marks the First Quarter phase of the waxing moon. The New Moon’s energies are building and whatever intentions were planted as seeds at the phase are now germinating and soon to be flowering when Mother Moon rises Full on November 14th. This, like Samhain, is another mid-point energy and takes its place between the beginnings of the New Moon and the peaking at the Full Moon. 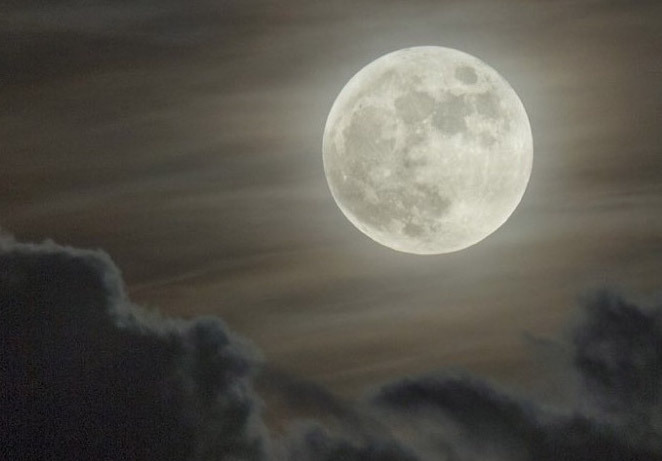 We can make use of this moon phase at this most sacred of times in thinking of it as setting the stage for Gates flung wide open ready to receive the outpouring of respect and honoring of those who have left bodies of flesh and bone and the gifting of wisdom to those loved ones remaining in mortal life. The intention of deepending those connections begun at the New Moon are quickening and ready to sprout the tender buds of new flowering fed and nurtured by the act of remembering and seeking the wisdom of those remembered. This year’s Samhain is marked as the Moon transits into the Fixed sign of astrological Aquarius. This sign is of the element of air and as a energy of the Fixed modality has ability to synthesize, sort and hold steady all that is of intellectual pursuit. Because of this ability to see many possibilities, the potential of the future is most prized giving a unique visionary quality to the energy of Aquarius. Mother Moon in this sign and waxing towards Her fullness provides the opportunity to reach into the architecture of what could “be”. Father Sun remains in astrological Scorpio, another of the Fixed signs; this being of the water element. The strength of this peak point of solar month in Scorpio brings the natural intuitive nature of Scorpio to the place of the second of its symbols; the Eagle. The keen sight and perception of this magnificent bird aids in accurately and precisely focusing in on what is the optimal outcome that has potential to manifest. These two elements used together on this auspicious date of Samhain can be used to maximize your meeting with your beloved Ancestor. Please enjoy the last pathworking of this series, as we once again enter the grove of the Ancestors. This journey will plant the seeds of wisdom that may be used after the veils close and we continue our work in the manifest world. The altar that you have been using honoring your ancestors should be maintained throughout the year. Keep it clean and add to it whatever you feel your ancestor would appreciate (or appreciated in life). And, remember that you may always reach out to your ancestor; seek his/her wisdom or simply talk with as you would have in life.